Allied Built Ranch-Style Block Home with spectacular curb appeal and a lush backyard. 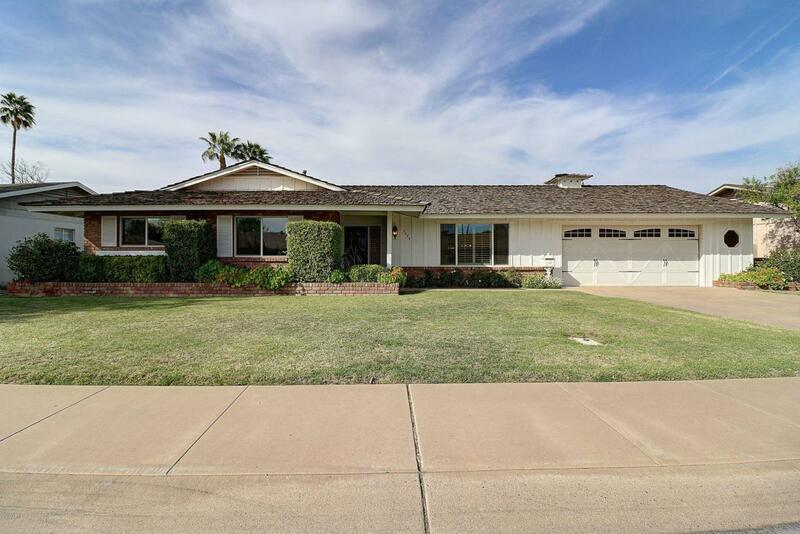 This home has been Well Maintained, it features 4 bedrooms, 2 bathrooms, pool, spa, putting green and Bonus Room that could be used as a 5th bedroom, office, playroom or guest room. The pool was recently resurfaced, new putting green surface & newer block fence. The master bedroom is spacious with walk out access to the backyard & above ground SPA. The kitchen features Granite Countertops, movable island and views of the backyard. Just off the kitchen you will find the large living room, laundry room and family room with a brick gas fireplace. This beautiful 4/2 home is located just a few mins from Old Town Scottsdale. 3rd owner, NO HOA, Two fridges, washer & dryer included!